As a fourth year undergrad student, I entered Julian Bond’s course on the history of the Civil Rights movement in the fall of 1993 not knowing what was going to happen to me. I didn’t really realize how much the class was changing me until I worked on my class project, which ended up being a paper on Virginia’s Massive Resistance laws. Learning that my home state had, not fifteen years before my birth, decided that closing public schools was preferable to having to integrate them was mindboggling. Learning that a superintendent who still has an elementary school named after him in my home town could cite the small number of black applicants to a school as a reason not to desegregate it was shameful. Understanding the perfectly legal mechanisms that were used by segregationists and racists to avoid, subvert, and delay the implementation of the Supreme Court’s Brown vs. Board decision made me aware that there were more dimensions of evil than just cartoonish Klansmen. In that context, it’s easy to understand why university students would want to remove the name of slaveowners from buildings. And why there have been calls to tear down monuments to Confederate soldiers. I find myself looking on such calls with mixed emotions, however. As the historian of the Virginia Glee Club, I’ve had to grapple with the University’s mixed legacy on slavery and race. 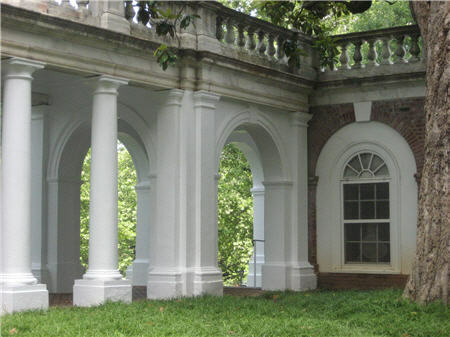 I learned about the Movement there, and the Glee Club was integrating truck stops on tours during the 1960s, but many of the Lawn buildings were probably built with slave labor, and as late as Faulkner’s first year as writer in residence, his proposal (in “A Word to Virginians“) of going along with integration met with an outcry there. One cannot change history by removing names, and one cannot remove the stain of slavery’s original sin from the United States by removing monuments. 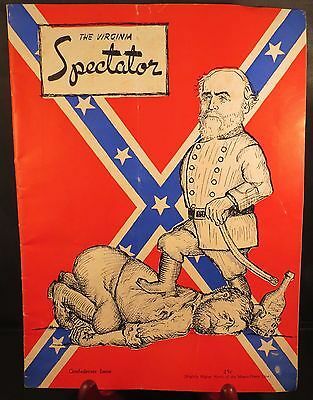 Until one understands that one’s parents or grandparents felt no shame in putting out an issue of the student magazine with a triumphant Lee standing over Grant in front of the stars and bars (see above), one can’t understand the forces that shaped the culture that exists today.